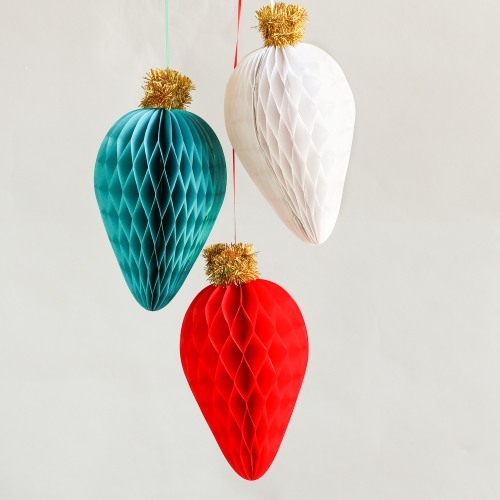 Bright and festive, these ornament honeycomb decorations are such a great addition to any Christmas party. Each set comes with three decorations in three different colors including red, green, and white and each is topped with gold tinsel. Hang along windows, entryways, or above tables for an extra fun party look.